please feel free to email via our contact form here. Thanks so much! 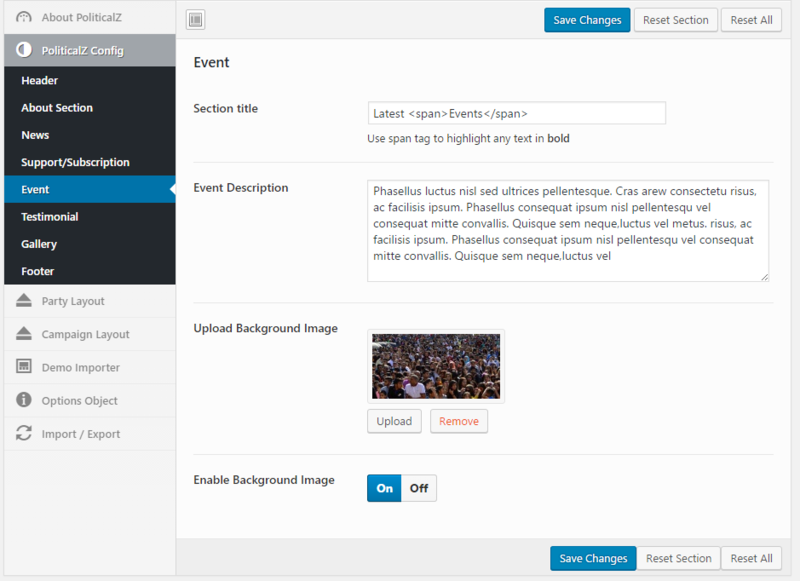 WPPoliticalz is a responsive WordPress theme. It’s especially designed for politicians, political parties and more. It is compatible with all modern mobile devices. This is built with modern technologies like Redux Framework, Revolution Slider, Woocommerce, Event (The Events Calendar) Plugin, BB Press, Buddy Press, HTML5, CSS3, jQuery, Bootstrap3.x, Font Awesome 4.x, LESS, Gulp, Modernizer, CSS3 Animation, Owl Slider and more. 1. After download unzip the package you will find a folder named "wppoliticalz.zip" in that folder which is the zip package of the theme. 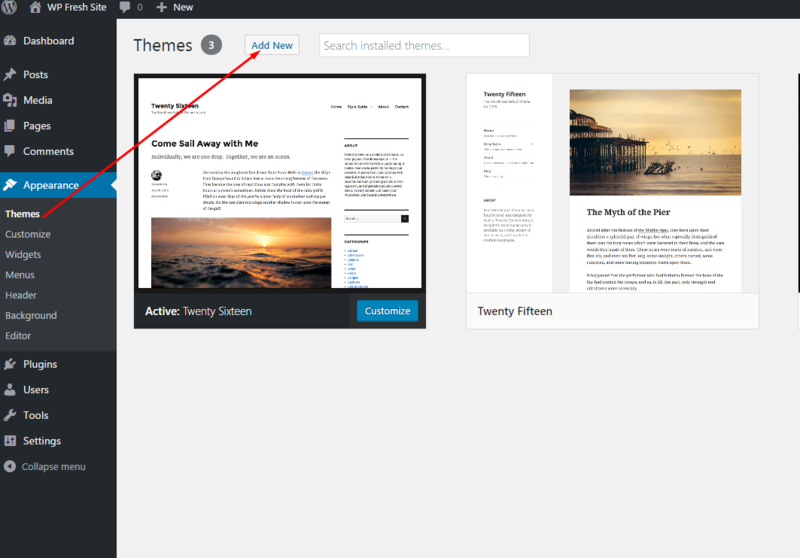 Go to your wordpress admin panel, left menu -> Appearance -> Themes. 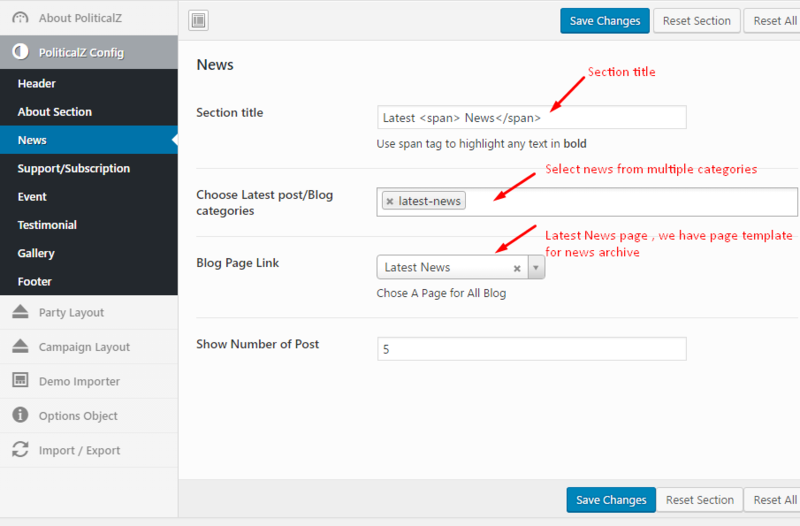 Click Add New and it will take you to page with theme listing from wordpress directory but you need to install "wppoliticalz" as custom theme, so click "Upload Theme". Choose the zip file and upload, it will guide you to install and activate. 2. 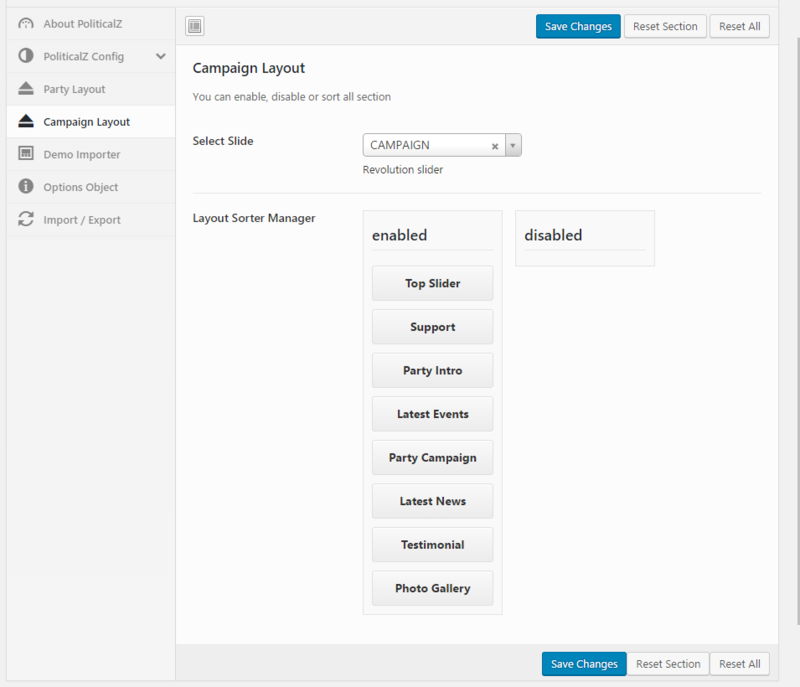 This theme uses Reduex option framework plugin which is required to use. If you are connected to internet then you can install the plugin from the plugin manager. 3. 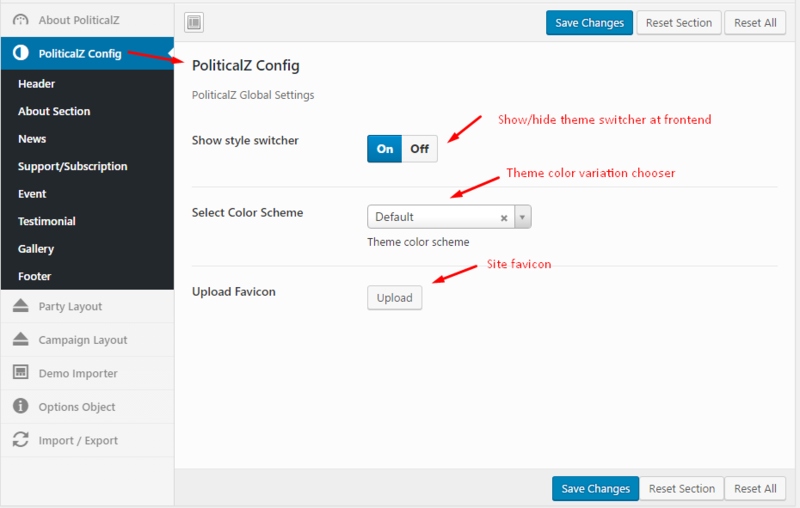 After activating the theme there will be a theme option menu called "Politicalz Options" in left menu, which will guide the rest config. But before you config your theme please install the necessary plugins. So, we can assumed, you are able to install plugins and activate them. 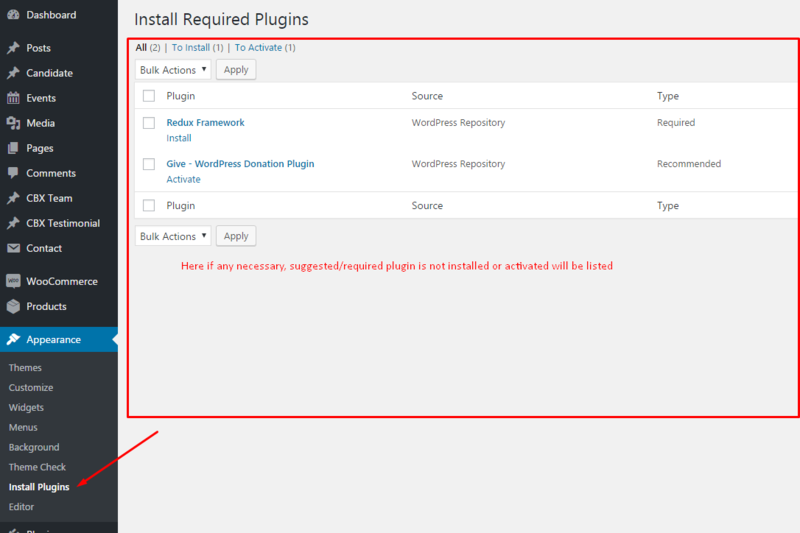 If you don't install all suggested and required plugin then your demo import may not work properly. 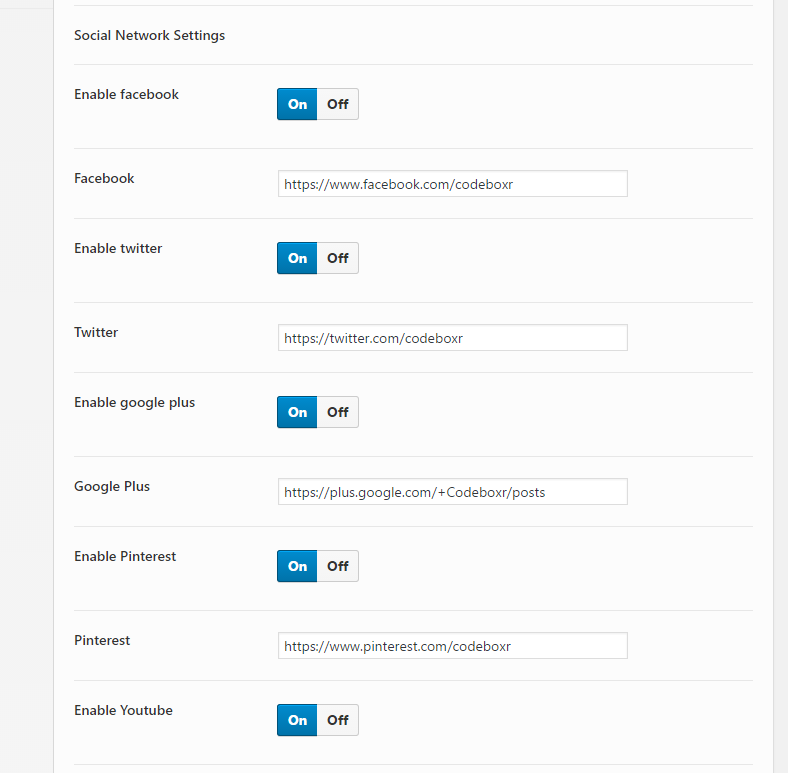 So, it's highly recommended that you installed all required and recommended plugins at first after activating theme. Theme config is powered by Redux Framework plugin, unless you activate this plugin theme config will not appear. - Note: if you highly technical person then you don't need to import demo as you can create contents as need but to get the initial content as our demo you can import easily from the theme setting. 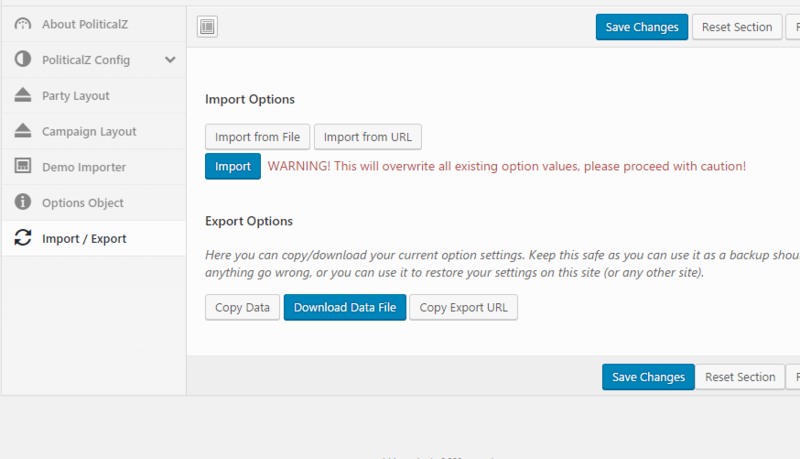 - To import demo, see there is a menu in admin panel left "PoliticalZ Options", then click tab "Demo Importer"
- Note, as demo import takes time it also depend on php execution time of your server setting or php configuration. If you import demo in any live server it will take less time but in local server it may take more time and due to slow internet it will take more and more time which may cause php maximum execution time failure. php_value max_execution_time 3600 No matter which option you choose, restart Apache service. Left Slogan & Right slogan: Site name can be changed from the global setting. 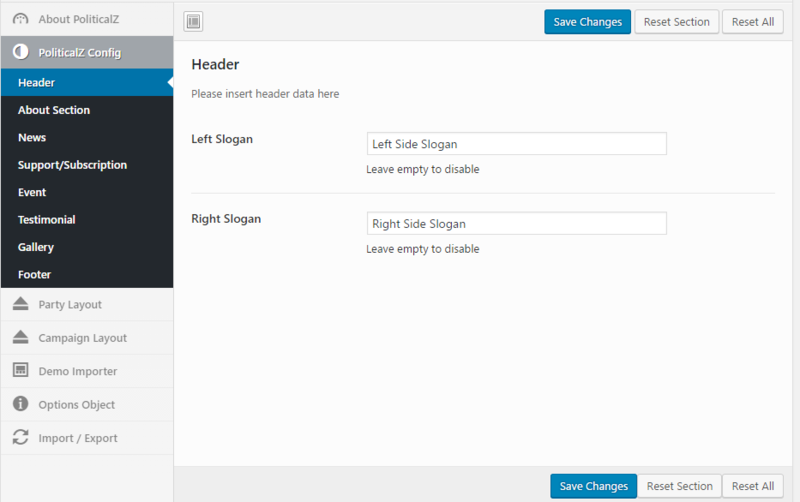 Left and right slogan can be display in left and right side of Site name. Leave them empty if you want to disable. The top menu is very important. 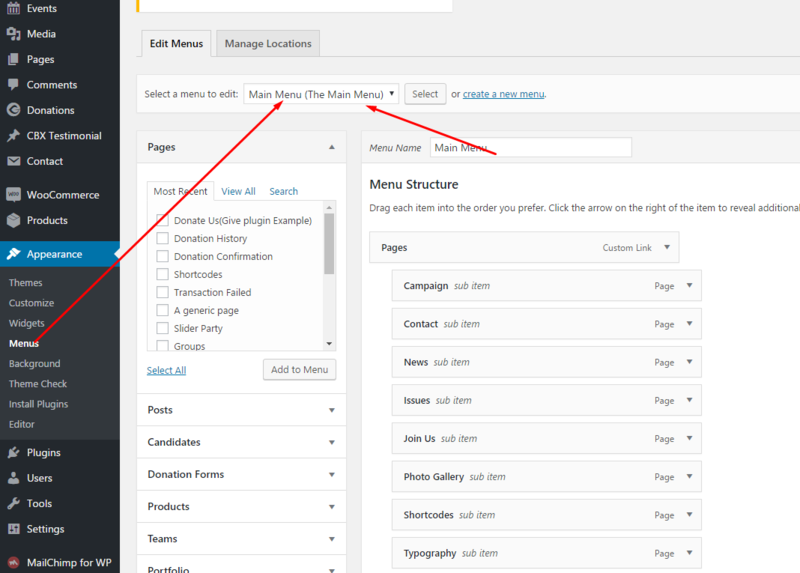 Normally if you go via demo import of theme option feature then the top menu will be created automatically. 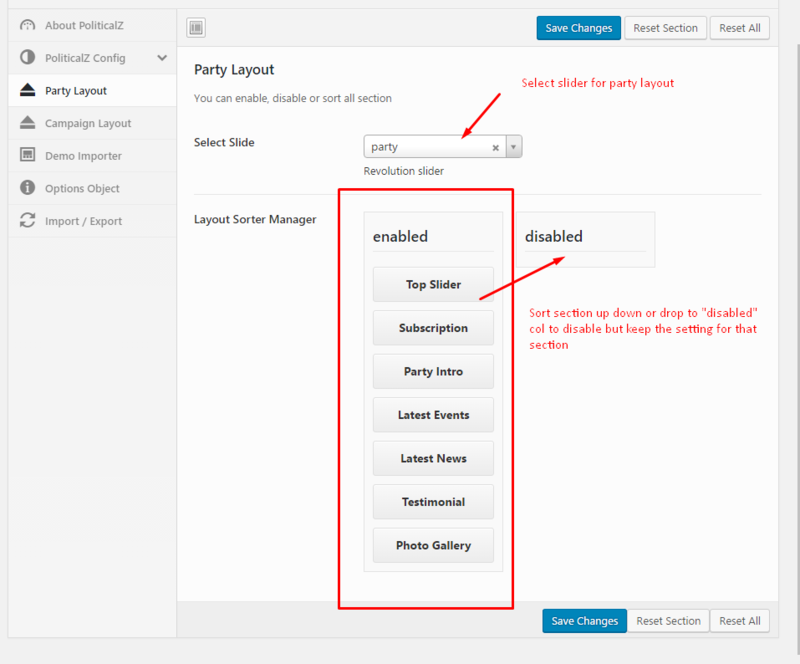 But not, then go to menu manager from admin panel left menu -> Appearance -> Menus . Create a new menu called "Main Menu" and add menu items as need. 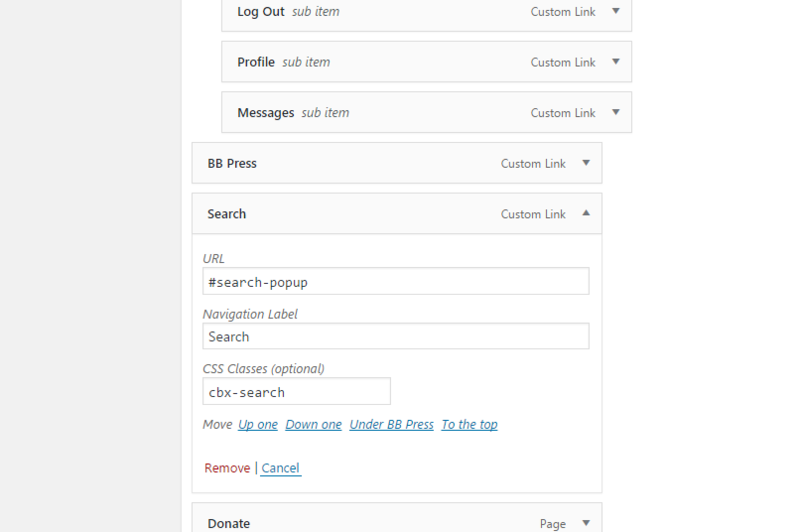 Search and donate link is bit tricky and we style in our theme, so need to follow these steps carefully. 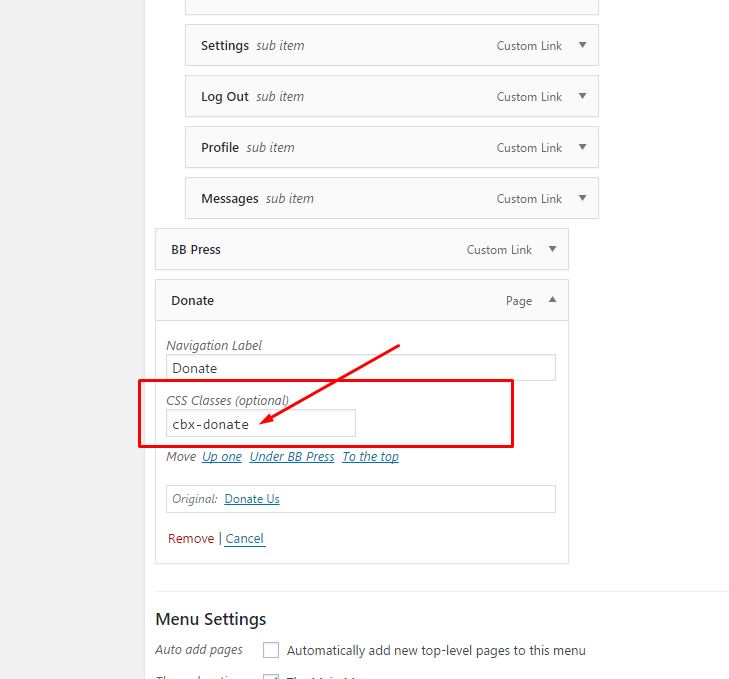 - Create a page(from Pages manager) , Put title "Donate", Now back to menu manager and select menu "Main Menu", now add that new created page as new menu item put css class name "cbx-donate"
-Slider section is powered by Slider Revolution. 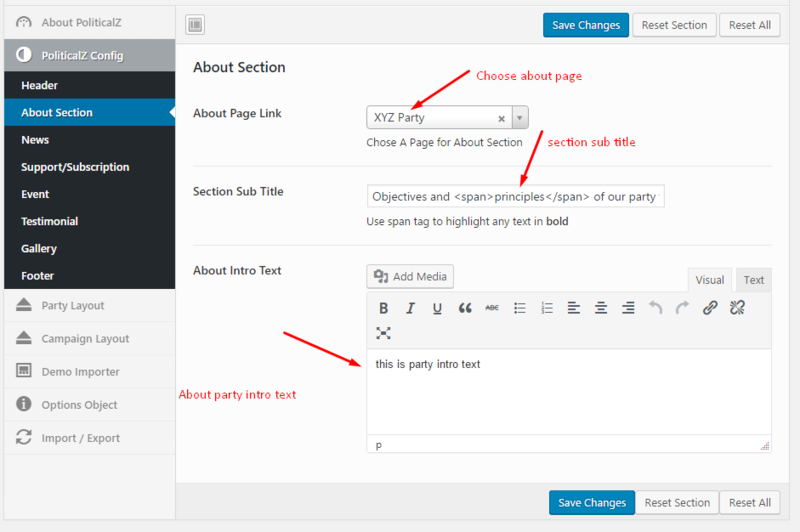 We provided ready made slider with this theme, on activate this theme, already the sliders are imported but still if you need they are located in downloaded folder "revslider_exports"
You can drag and drop sort up/down any section of party layout and also if need to disable any section drag/drop it to right side "Disabled" column. 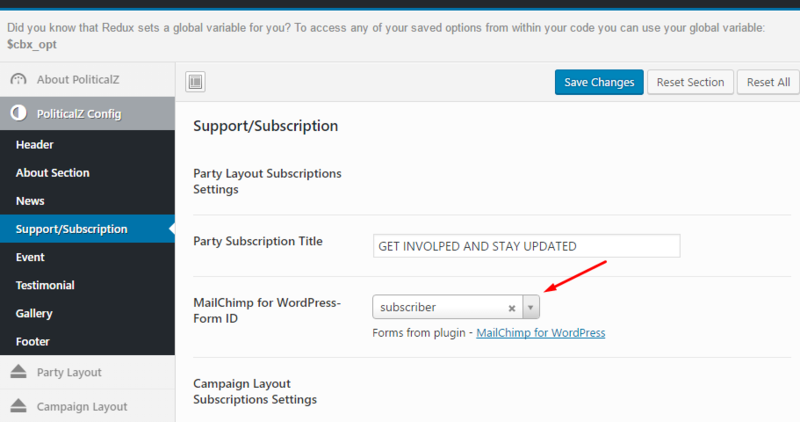 - For subscription MailChimp for WordPress (https://wordpress.org/plugins/mailchimp-for-wp/) has been used which is most popular. 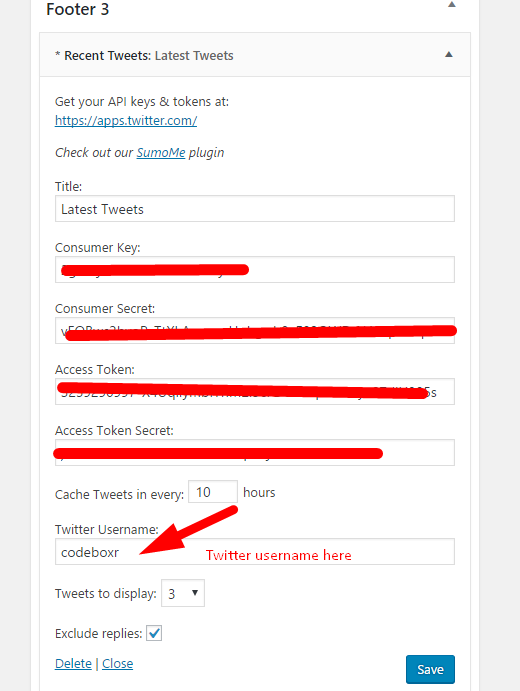 if you have pro version installed then you will be able to create multiple subscription form but default core has one. 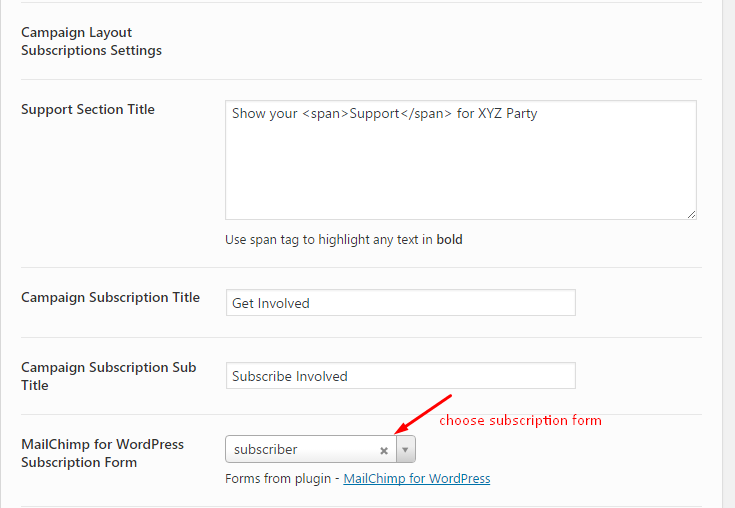 We list the subscription forms dynamically to select. - Choose page for News Archive. 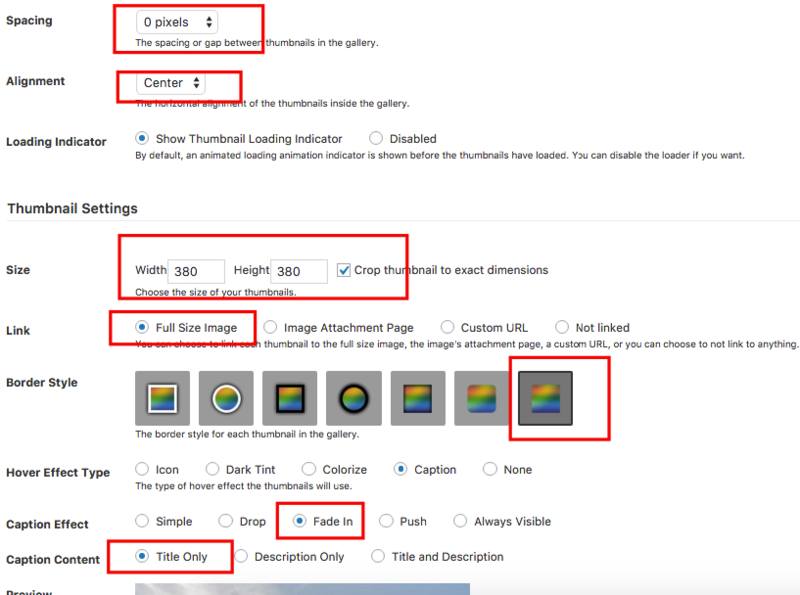 To create this page go to page manager, Create a new page , choose page template "Blog Page"
- If this plugin is installed and activated then there should be a menu in left panel in admin named "Foo Gallery". Go to Foo Gallery and create gallery. 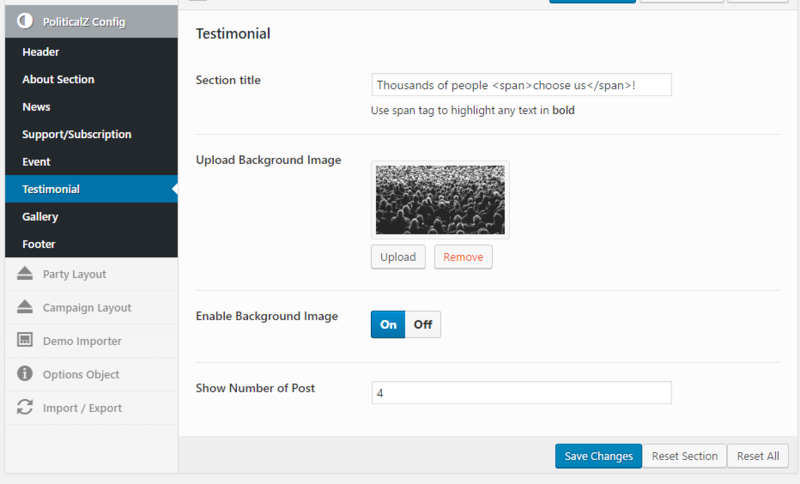 - After creating any gallery, upload photos to that gallery. 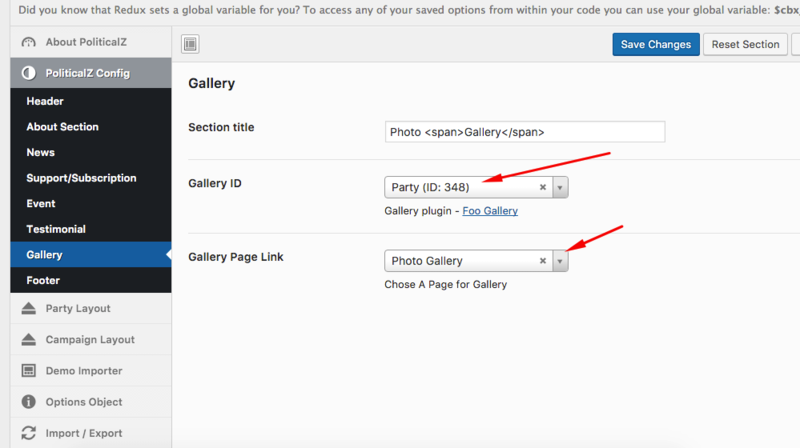 - In theme configuration, there is option to choose gallery for one page party or campaign. mauris, vulputate quis accums dolor. 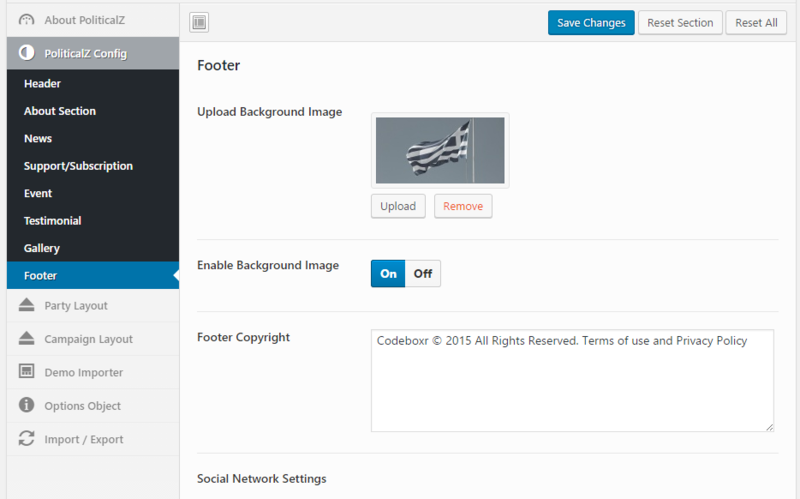 - Put "Retect Posts" Widget in Sidebar "Footer2"
All bootstrap elements are implemented as shortcodes. 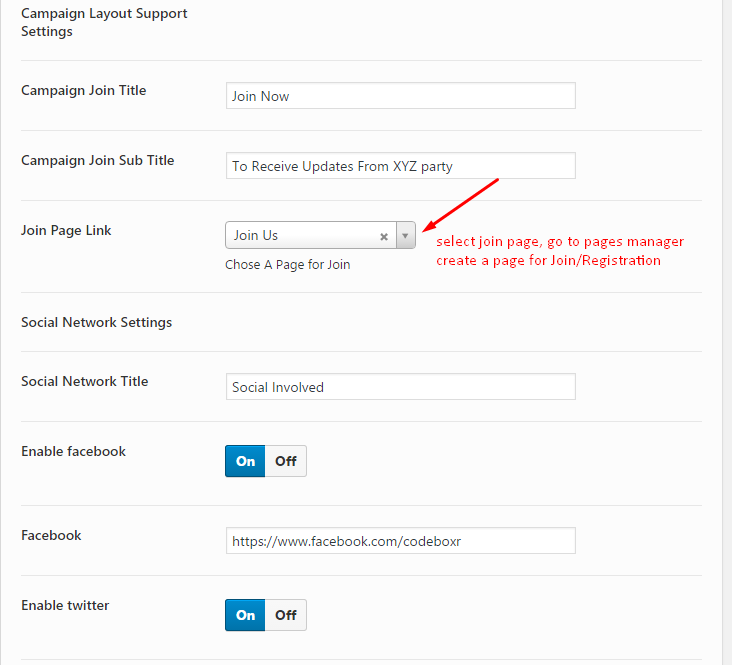 Please see the below example about how to add in any post or page.